Free forever. Easy signup. No credit card required. 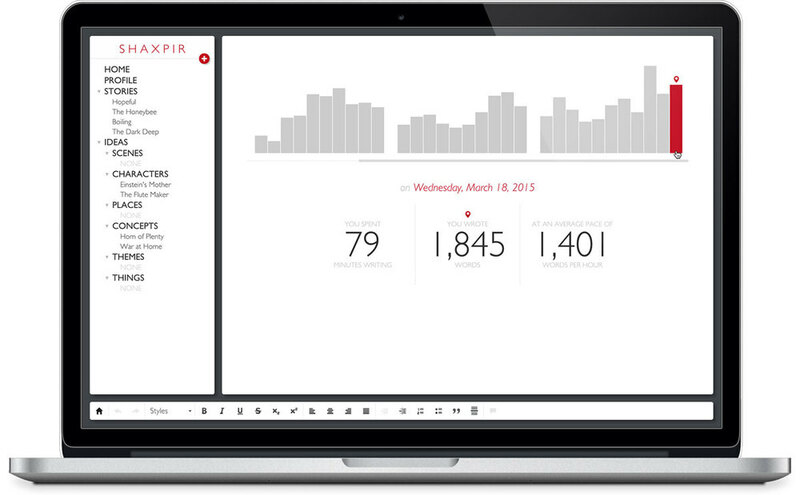 Free 30-day trial of Shaxpir 4: Pro included with every new account. 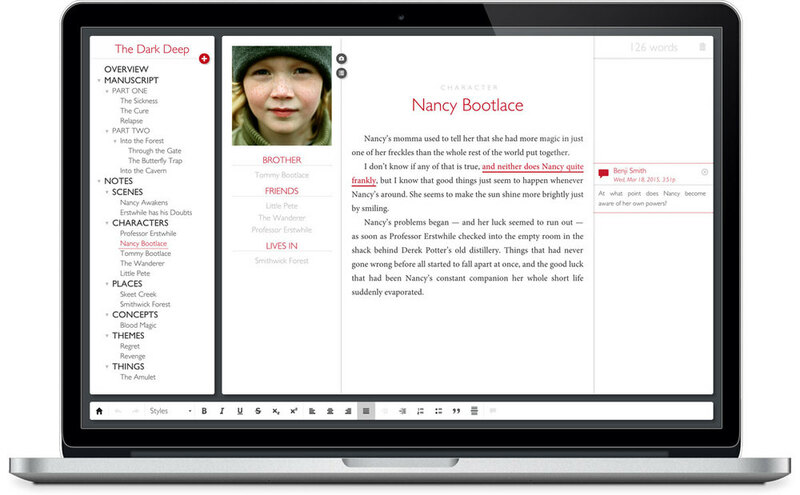 Shaxpir provides easy drag-and-drop tools to rearrange your manuscript, changing the order and hierarchy of chapters, so you can find a structure that works for your story. Keep detailed notes for every element of your story: characters, places, themes, etc… Then link those notes directly to the chapters in your manuscript. Enhance your brainstorming by thinking visually, bringing your characters and settings to life by attaching concept artwork to all your story notes and ideas. Shaxpir lets you hightlight a few words — or an entire paragraph — and jot down your thoughts in the margins, keeping your revision ideas nearby for when you’re ready to polish your final draft. Shaxpir keeps a historical archive in the cloud of all your changes over time, so you can always go back in time and restore a paragraph of text you may have hastily deleted last month. Publish your manuscript as an eBook: HTML for sharing on the web, DOCX for collaborating with agents & editors, or EPUB for distribution to the Kindle, Nook, and iBooks stores. There’s no better way to improve your craft than to write every day. 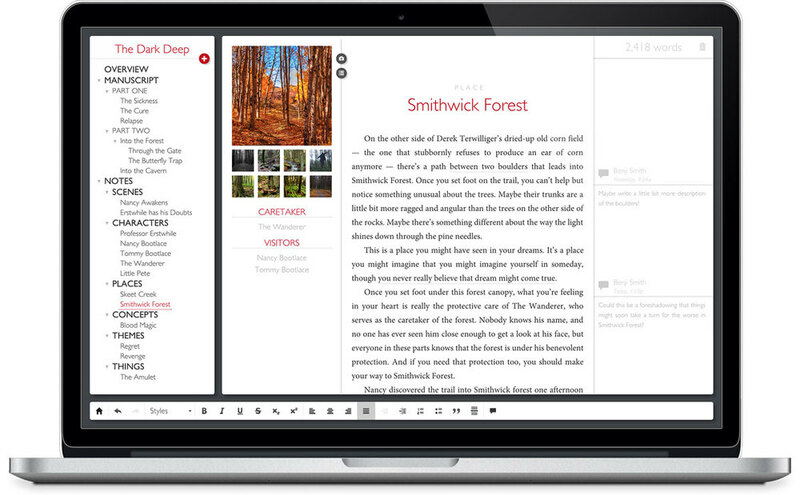 Shaxpir tracks your daily writing sessions and plots your progress toward your long-term goals. 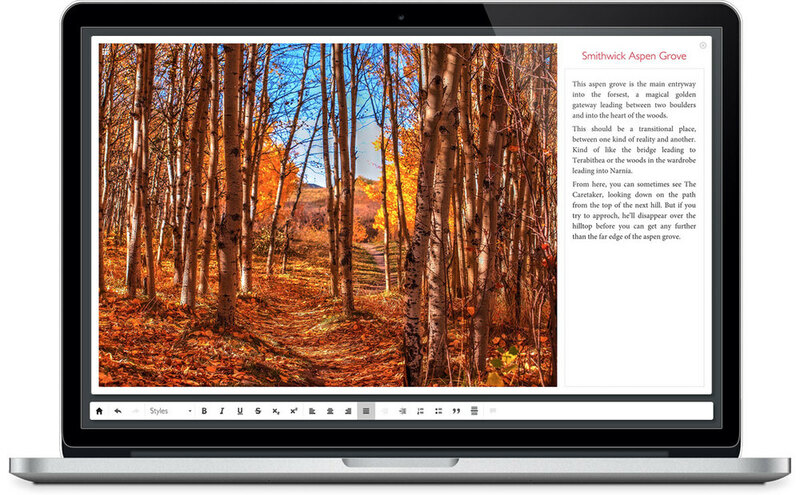 Customize the user-interface with seven beautiful designer themes, each with its own distinct color schemes and font-pairings, for nighttime writing or just to change the mood. 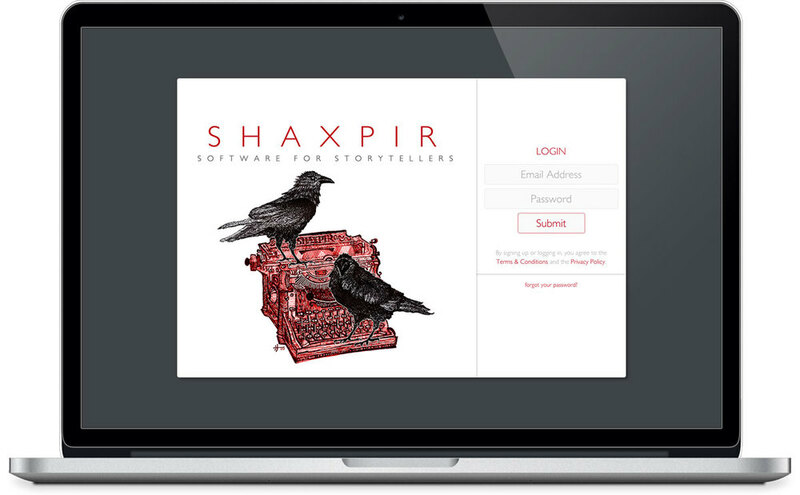 Shaxpir is a desktop application, not just a website. Whether you’re at a cabin in the woods, or just off the grid for a few hours, you don’t have to be online to write. Whenever you’re online, Shaxpir automatically synchronizes your data to our secure backup servers in the cloud, so you’ll never lose your work again. With support for both Mac and Windows platforms, you can start a new chapter at home on your MacBook, and pick up where you left off on your Windows work computer.